9/11 memorial for Flight 93 passengers will feature a "Tower of Voices" - Archpaper.com 9/11 memorial for Flight 93 passengers will feature a "Tower of Voices"
At the Flight 93 National Memorial in Shanksville, Pennsylvania, construction will soon begin on a 93-foot tower to commemorate the 40 lives lost in the hijacked plane that crashed into the countryside on September 11, 2001. The tower will be situated at the end of the memorial’s circular path, and serve as the new entrance and exit to the memorial. Murdoch chose to work with sound, since, in his words, “The last memory that many [family members] have of the people on the plane is through voices on those phone calls,” according to Arup’s blog. Of the four flights hijacked on 9/11, Flight 93 was the only one that did not fly into its target, the U.S. Capitol Building in Washington, D.C. 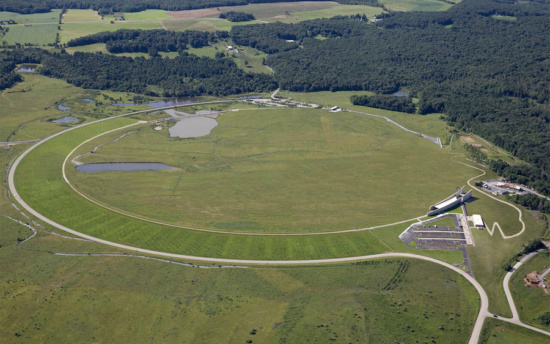 Instead, on learning of the hijackers’ plan, the flight crew and passengers struggled to regain control, ending in a premature crash into a field near a reclaimed coal strip mine in Pennsylvania, nearly 150 miles from its intended destination. None survived the impact. 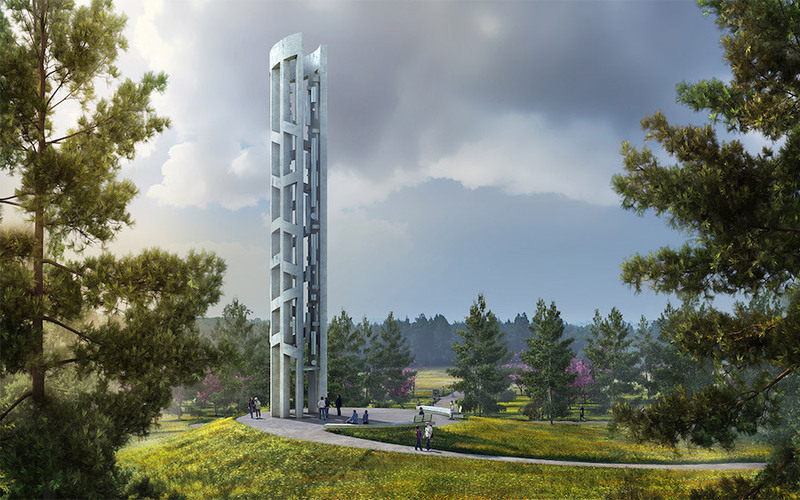 Set to open in 2018, The Tower of Voices’ three-dimensional soundscape will be the final element of the Flight 93 National Memorial.